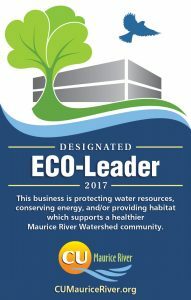 The ECO-Leader Designation provides recognition for environmentally-conscientious businesses that use best management practices to lessen their footprint on the Maurice River Watershed. 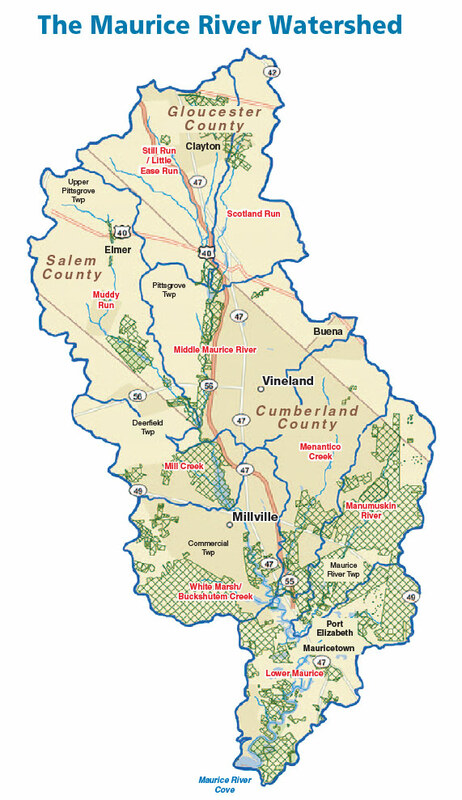 Designated Eco-Leaders are committed to preserving community health and promoting economic growth by making a concerted effort to conserve energy, reduce water consumption, manage storm water ecologically, improve water and soil quality, and create habitat. Read the checklist. Respond "yes" or "no" regarding whether you have incorporated these eco-friendly actions into your land management routine or included green infrastructure on your property. Prospective candidates for designation are those who answer yes to multiple actions in one or more categories and are working on expanding their stewardship in others. Is your company interested in protecting the community's environmental health and economic vitality? 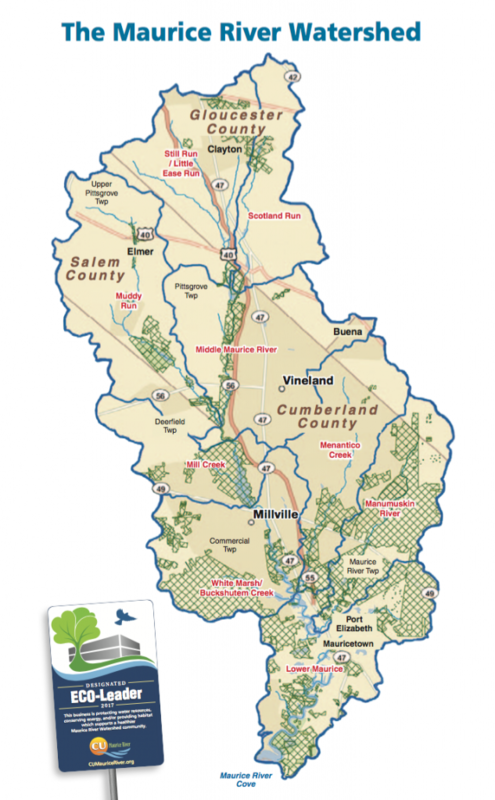 Based on the map below, is your place of business located within the Maurice River Watershed? If you answered yes to both questions, your business is eligible for ECO-friendly designation. Answer the questions below to apply.